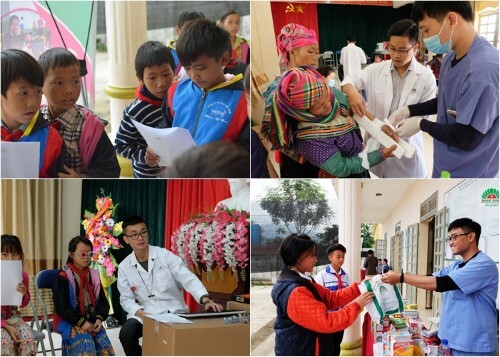 On two days from 29th to 30th November 2018, Hong Ngoc General Hospital, in collaboration with the “Golden Heart” charitable fund has successfully organized Healing up Hands 2018, providing free health check-up and medications for more than 800 children in Nam Manh Commune, Nam Nhun District, Lai Chau Province. After the success of Healing up Hands program in Tuyen Quang Province this early November, Hong Ngoc General Hospital team of doctors and nurses continue their trip of love in the poor commune named Nam Manh in Nam Nhun District, Lai Chau. 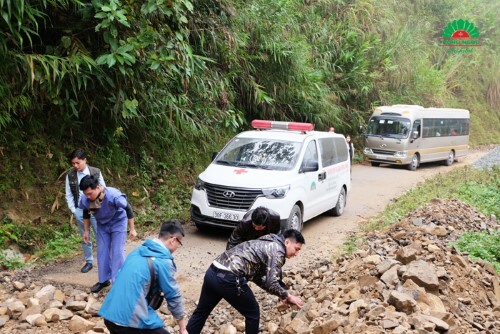 Travelling more than 500km from Hanoi to Lai Chau, the team of Hong Ngoc General Hospital brought with them not only medical materials but love and caring. The innocent faces, bright smiles and sparkling eyes of little children warmed their hearts, wiping out all the difficulties that they had to face with during the journey. 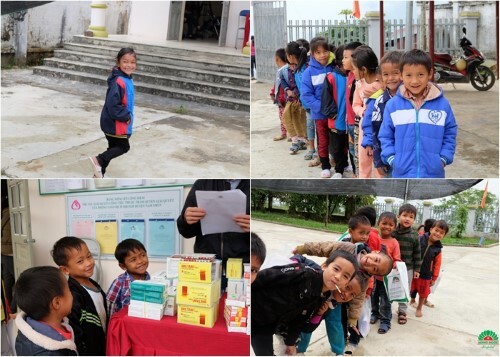 The Healing up Hands 2018 in Nam Nhun, Lai Chau offered free health check-up and necessary medications for more than 800 children of the commune’s kindergarten, primary and secondary schools. The overall examination, including internal medicine – pediatrics, ENT, and ophthalmology, was conducted by Hong Ngoc General Hospital’s team of doctors and nurses, with the support of Nam Manh Commune health station. The total number of medical visits on the two days was nearly 2400. During the examination, the doctors also detected some serious cases of deformities and diseases that need urgent treatment. The three most serious cases include Vang Thi Ngoc Le (9 years, limbs deformity), Giang A Ho (9 years, chronic otitis media), and Luong Khanh Hoa (6 years, spinal cord herniation). These children are living in poor family that couldn’t allow them to be treated in big Hanoi-based hospitals. After discussion, Hong Ngoc General Hospital does hope to cooperate with the “Golden Heart” charitable fund, Lao Dong newspaper and the Lai Chau confederation of labour to support as much as possible for these cases. 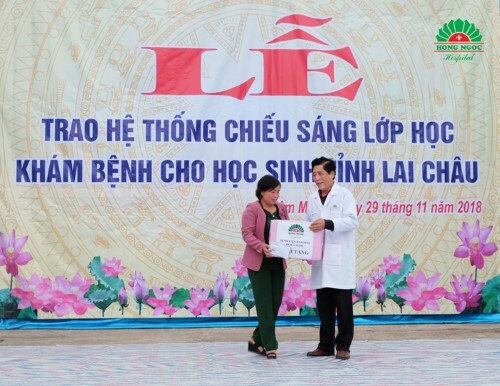 “After this program, we hope to collaborate with Lao Dong newspaper, the Lai Chau Confederation of Labour in particular and Vietnam Confederation of Labour in general to organize more Healing up Hands trips to poor communes to examine for locals living in mountainous areas”, said Dr. Cao Doc Lap – Director of Hong Ngoc General Hospital. On this occasion, Hong Ngoc General Hospital also gave necessary medications for common illness and disorders as well as some study stuff to Nam Manh Secondary School. In addition, knowing that the school has to face with numerous difficulties, the team of Healing up Hands 2018 donated more than 4 million dong to support the teachers and students there. We do hope these small support would help them overcome current issues. 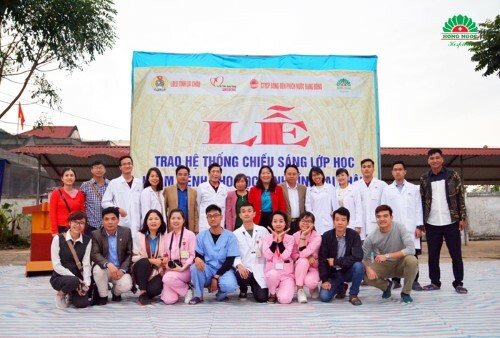 At the end of the program, with the invitation from local authorities, Hong Ngoc General Hospital’s team of doctors and nurses visited the medical center of Nam Nhun District, Lai Chau Province. According to the center’s director, it has been struggling to solve numerous problems, especially the shortcomings in human resource and facility. The center only has 15 doctors and 40 beds, which is not sufficient to meet the locals’ demands. Therefore, to support them, Hong Ngoc General Hospital is committed to provide medical consultancy for local specialists, helping them to better serve their patients. 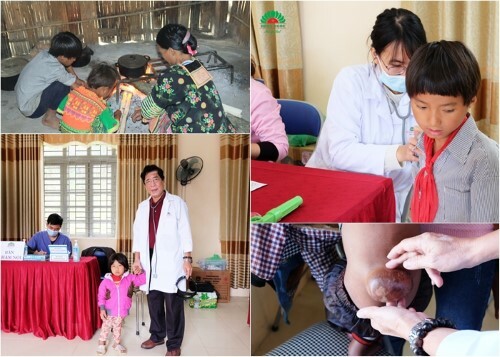 The Healing up Hands 2018 in Nam Manh Commune, Nam Nhun, Lai Chau came to an end, leaving unforgettable memories to participants. The happiness in the children’s eyes and the lovely smile on their faces is motivation source for Hong Ngoc General Hospital to organize more meaningful charity events. Healing up Hands is series of charity medical trips hosted annually by Hong Ngoc General Hospital with the sponsorship of pharmacy companies, health care corporations and philanthropists. The program’s main activities include charity health checkup and gift giving to poor people living in remote and mountainous areas where locals have difficulties in health care in particular and in life in general. Started in 2013, up to know, the program has opened opportunities for health check-up to thousands of people across the country.